There really isn’t any reason to make predictions here, except for one—Health Insurance, as we have known it, is in a mess, and the mess will continue through 2014. The president, the administration, and DHHS/CMS keep moving the goalposts for the evolution of the program. The president delayed the introduction of both the Employer Mandate for large companies and small business until after the elections of 2014. That was only the beginning, but it obviously was employed to limit the problems of dissatisfaction with the program until after November elections for Senators and Representatives. A prediction that this will have a terrific impact on those elections is in force—hands down. After the employer mandates disappeared, then came the “rollout” of the individual mandate with its continual problems, general dissatisfaction, constant delays in effective dates, and changes to the legislation, some of which were considered unconstitutional by various entities. The program was loathed by millions of Americans who saw their Individual Major Medical plans disappear. Insurance companies involved in the “marketplace” were constantly caught second-guessing how to achieve what was supposed to be a profitable affair. Navigators (those with little experience in health care matters) were paid as high as $48 per hour to pretend they had a grip on the situation. Insurance agents tore their hair out trying to achieve what they had been called on to do—and in the middle of the mess, one state asked 60,000 insurance professionals to jump in and help save the program through educated enrollments. But, wait, there’s a silver lining for you in all this !!! Look at the next item. As medical insurance struggles with Obamacare, there are products available, and have been for years, that provide some answers to niche needs. I am going to suggest that these products are about to lift the lid off themselves, and no longer be regarded as niche products, but become mainstream products as a result of PPACA. How so? Simple to answer. Reports are that many (most) of Obamacare’s choices come with some very hefty deductibles and coinsurances. Hmmm…How does that help us? Well, suppose you have an independent business owner whose plan requires a deductible of $3,000-to $6,000 per person, and a family deductible in the $12,000 to $15,000 range. In addition let’s also say his or her plan has a coinsurance of 70/30. First of all, Limited Medical products are abundant, as are Hospital Indemnity products. Over the years these products have been regarded as “Indemnity” products—pay the premium and the company indemnifies you in a certain amount. There are some recent changes in the definition of “indemnity,” and companies will have to change their policy structure by January 1 of 2014, but, most in the field have already have made the changes. So the likelihood for your customer needing a limited benefit policy with a $3,000 to $5,000 daily hospital benefit, comes front and center. The products will now be coming into demand, and coupling the products with an Obamacare plan will change the scope of the sale of these products. The Critical Illness product is also available from many companies, and is also increasing in demand from the public. 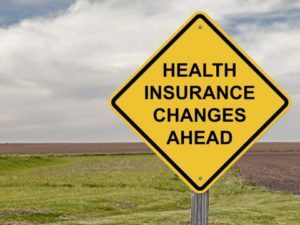 In view of high deductibles and high coinsurances, and little help available from an Obamacare policy to cover lengthy serious illnesses as “care” needs, the CI policy becomes an important feature on the American healthcare scene. The incidence of survival among critical illness events has been growing, although the period of need may extend into months and even years. So, my outlook for 2014 for Critical Illness, Limited Medical and Hospital Indemnity products is very bright. Obamacare, and its deficiencies, will be the impetus for great demand on these products, and you stand in place to benefit from PPACA—something unthought of only a few months ago. There are so many types and varieties of annuities that it is impossible to pick a favorite for the next year. Fixed annuities have been popular. Fixed index(ed) annuities have been popular. Variable annuities have been popular, as well as various derivatives of each. In short, agents involved in the sale of annuities have been doing quite well for the past few years, and there is no reason to believe, at this point, that this trend will not continue. The stock market and interest rates have the most common influence here. The choice of which annuities to represent seems to be the key. Some producers look for high-dollar clients, and as a result, concentrate on higher value annuities, and what they can do to contribute to retirement income. Others place a greater value on annuities that represent a more stable source of income–that might not be needed for several years. Still other producers look for smaller dollar amounts that can be placed or “parked” in an annuity. which will not be needed for income, and will eventually transfer to family children, church, or charity. As the stock market has thrived in the past few years, Increased dividends have become available from securities, and the annuity agent can pretty well count on current equity contributions to annuity plans. And…that becomes a part of the producer’s mindset, and that of his client. But anybody with any experience knows that “current” only means just that, and even though the annuity industry has once again boomed in recent years, the year 2008 reminds them of the possibility (maybe probability) that conditions do not remain the same forever. In the meantime, interest rates are expected to rise, which will help annuity companies offer higher valued returns. However, from a producer’s standpoint it makes sense to have the ability to offer some type of annuity product, and have it ready in your portfolio or, in reverse fashion, supplement annuity income with Medicare or other “retirement” products since the purchaser of an annuity will often be the same demographic prospect. 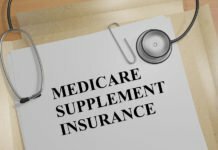 One of my favorite agents made himself a small fortune with a simple question after completing a Medicare sale. He leaned back in his chair and asked, “Do you have any money lying around in CDs which is not giving you much of a return? Maybe money you’ve set aside for your kids, or your church or charity upon your death?” The answer was quite often, “Why, yes, we do,” and after delivering the Medicare policy turned his simple question into dozens of small annuity sales. The agent had perfected a simple example of cross-selling, which can also be used in a reverse fashion for those who concentrate on securities or annuities first. No matter what techniques are used in the sale of annuities, one factor remains constant—a matter of safety of the principal, tax-deferred advantages, and compounding inside cash buildup—all tied into one product. I see no reason that this concept will diminish in 2014 or any year thereafter. Producers who overlook this opportunity, while in the same household, with the same client, are leaving money on the table for another agent, versed in the value of annuities to come in and help themselves, perhaps to more than annuity money. Remember the “Insulation Theory,” whereby the more policies you have in a household, the lesser the chance of somebody coming in and replacing you and your products. This is a no-brainer. While some skeptics see problems for the Life Insurance Industry soon—due mainly to low returns on their investments—the industry is poised for exceptional growth. Nearly every study concludes that life insurance is missing (in great amounts) in nearly every U.S. household. True, we are still plagued with a disproportionate number of unemployed or underemployed households, but there are still millions of people who have financed or refinanced homes, grown in their occupations and professions, become fairly successful, yet still have not addressed the value of life insurance in their personal affairs. Some count on group life coverage through their employers (which we know disappears upon changing jobs—all the while growing older), and still others have never really understood the need for life insurance. This is a matter of concern to the industry. Scores of studies indicate that the industry is sorely lacking in producers who will take the time and make the effort to include the individual life insurance sale in their goals. There may be a matter of unrest among Americans to wait and see how Obamacare affects them, and in reality, that will be a factor in 2014. But, again, not every prospect is the same, and it is a simple matter of cross-selling, and remembering to ask. And…reminding oneself that they are overlooking one of their clients’ greatest needs. By simple deduction, the matter of success in life insurance sales entails the effort to concentrate on the sale. The industry is stable and actually demands more sales. This is an open road being ignored by most of the insurance industry’s sales force. The old, “Some will buy, some won’t. Next!” comes to mind. SPWL is the granddaddy of life insurance success. Although some of the tax features of SPWL disappeared in the mid-nineties, there are still important reasons to offer the product. They remove the tax implications of annuities for beneficiaries and annuity holders alike. In most cases, they create, with a single payment, a face value of the death benefit larger than the single payment. And, they allow the beneficiary(s) to receive the benefit of the life insurance tax-free, as long as the technique of the policy purchase has been constructed in a non-qualified manner. So, perhaps now is the time to look at the product as a leader in your agency’s portfolio. I suspect that no other product in the insurance arena has been beset with more problems than LTCI—perhaps even from its beginning. I remember the interest and enthusiasm of common insurance agents to embrace LTCI, until they had their first case or two turned down. LTCI became a pretty specialized endeavor, and while pockets of general agencies grew and developed significantly able agency forces, the field went largely undeveloped with average producers shying away from the product. And…that was before the recent problem of many major LTCI companies withdrawing from all, or segments of, the market. Rate increases on existing policyholders caused heartburn for many producers as well as clients. Of course, street rates (on new policy offerings) began to rise. LTCI companies encountered a high retention of the product among policyholders, which they hadn’t counted on. Return on investment was low. A need for reevaluating underwriting techniques became part of the mix, and tighter underwriting rules became the norm. Finally, the major carriers recognized the need for gender-based premiums, which caused concern for already high rates to be assigned to women. Somehow, through it all, the industry fights on in commendable manner. But, producers view the outcome with a wait-and-see attitude. Even though the need for LTCI is great, most interviews end with a “We just can’t afford it,” statement. The obvious move is to continue with younger purchasers and group presentations. And…again…the problem of “We have to wait and see what Obamacare is going to do to us,” will be a fair reason for stalling for many clients in 2014. Although this product is offered by only a few companies nationwide, the product is a sleeping giant. It is an entirely different product from LTCI, and goes by several names such as “Recovery Care,” “Convalescence Care,” “Short Term Care,” and iterations of “Rehabilitation” and “Recuperation.” One deterrent is that some states still do not recognize the value of the product and have not admitted recovery care products into their states. 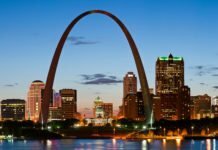 Producers in those states are losing out on a coming “in demand” product, as the need for care begins to surface for medium income households. The most significant difference is that STCI policies are sold in shorter care segments—180 days, 270 days, or 360 days. Another difference (depending on the company’s offering) is that the product will include nursing home care, may or may not include assisted living, and may or may not include Home Health Care. So, what is the benefit to the producer and the client? In view of recent LTCI rate increases, the 360 day product, with 5% simple inflation, with a 20-day elimination period (deductible) will sell for one-third to one-fourth the premium expected of a full-blown LTCI three year (or more) policy. That’s a significant amount, considering the fact that producers too often hear the “We can’t afford it,” argument. In addition, there are several factors that favor the agent. First, there are no insurance department requirements that LTCI continuing education credits are needed, because it is not LTCI. Secondly, if properly recorded on the app, the “knockout” questions typically allow the agent and client to assume they will receive a policy. The product is not “Guaranteed Issue,” but the underwriting is less severe than past and current LTCI underwriting rules. There are also two other significant reasons to sell STCI. Cancer, heart, and stroke organizations (among others) indicate that while the incidence of these conditions is up, the survival rate is also up, meaning that people are surviving these problems, but that recovery from them may be long lasting, perhaps for several months. Since that recovery period (think rehabilitation period for events such as a stroke) is a “care” need, and not a “medical” need, most health policies have not included “care” needs in their policies. STCI provides coverage for the rehabilitation of the insured in these and similar events. Also, CMS has recently begun to harden its’ stance on coding systems used by hospitals. The problem revolves around whether the hospital has coded the patient as “admitted” or as “observational.” Hospitals are paid more for an admitted patient, and CMS is disputing whether or not the hospital has properly coded (or “upcoded”) the patient, or should have coded the patient as under observational care, which makes the service a Part B claim, rather than a Part A claim. If it is a Part B claim, and the patient was not coded as being admitted, they lose the benefit of Extended Care—twenty days of Medicare paid skilled care in a skilled care facility. This may seem like a small item, but this unfortunate predicament happened to 1.6 million people on Medicare in 2012. STCI to the rescue! The beauty of the STCI policy is that it can be sold with a “zero-day” elimination period, making the problem of admitted or not, a moot point. And… most STCI policies do not require any hospitalization as a prerequisite for obtaining benefits, anyway. 2014 may be the year that producers wake up to the fact that they don’t have to leave the table with a “no sale” sign tacked to their efforts, but can offer an alternative to the complaint that “We just can’t afford it.” I’m not suggesting that the giant will awaken in 2014, because the product has been available—just overlooked—for years, and has not been embraced by agency forces simply because they were unaware of its availability. That will change as more and more people move down the path for short term care needs, with survival rates getting higher and the need becoming greater—and more agents becoming aware that a short term product is available for them to add to their portfolios. In conclusion– There is a very, very bright outlook for the life and health insurance industries and producers, as we move into 2014. 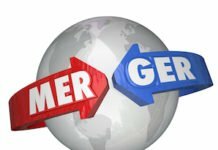 Once producers find the value of cross-selling (Medicare Advantage producers must be careful not to cross the lines of CMS prohibition regarding cross-selling in their Scope of Appointment presentations), they will find that the technique has always been regarded as the secret to successful production. Concentrating on one product does not mean that you are eliminated from offering collateral products in another venue. By setting a new kind of goal—that of being a true “full service” representative to any household—you will find satisfaction in the fact that you achieved success in covering your client’s needs as well as you possibly could. Most “Hit and Run” artists are long gone, and you stand in a position to replace them. A final thought as you approach your business this year. Please remember that the goal is not at the end of the road—the goal is the road. I offer my best to you and your agency.